As the organization’s Founder and Executive Director, Ramsay provides overall leadership for all aspects of Mountainkeeper’s work, helping guide and inspire our team, shape our programs, and cultivate essential strategic relationships with key outside friends and partners. Ramsay also serves as volunteer Executive Director of Water Defense, a project of Mountainkeeper, and sits on the Advisory Board of Hudson Riverkeeper. 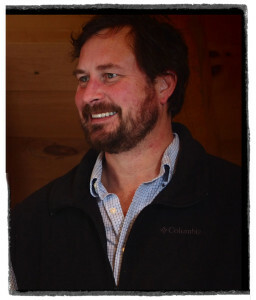 Ramsay is a founding partner in the Catskill Brewery—which produces craft beer in a newly constructed sate-of-the-art green building that is slated to receive the US Green Building Council’s LEED Platinum Certification—and also a film and television music supervisor, author, and educator. Prior to founding Mountainkeeper, Ramsay created and taught the “Music Supervision” course at New York University’s Center for Advanced Digital Applications and was Executive Producer of the online environmental video website Environmental Countdown. He the co-author of the book “Music Supervision: The Complete Guide to Selecting Music for Movies, TV, Games, and New Media” (Schirmer), which is currently being revised for re-release. Ramsay served as the Music Director for a cable news channel for over 4 years, and was the film music supervisor of many award-winning films including “Jihad for Love”, “The Break Up Artist”, and “Heights.” Ramsay holds a BA in History from the University of Wisconsin-Madison. As Mountainkeeper’s co-founder and Associate Director, Wes helps develop the strategic thrust of our programs and coordinates collaborative efforts working with regional, state, and national partners on Extreme Energy Extraction and fossil fuel infrastructure fights. Dedicated to pushing New York into a Just Transition away from fossil fuels he has personally lived off the electric grid for over 30 years and serves on the advisory board of the Center for Earth Ethics. From 1996 to 2007 Wes and his wife ran a 150-member Community Supported Agriculture (CSA) vegetable operation and during that time he also served on the Board of Directors for the Northeast Organic Farming Association of NY. Prior to farming, Wes served as an Acting Director of Field Programs for the National Audubon Society Expedition Institute, teaching graduate and undergraduate environmental education throughout North America and also worked as a Park Ranger for the National Park Service. 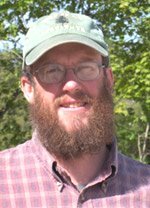 Although graduating from the University of Maine his real education comes from his extensive experiences in rural and wilderness America. Growing up learning about the interaction of humans and natural world here in Catskills and leading educational trips throughout the U.S give him a real-world grounding that few people in today’s society have. Kathleen Nolan, MD, MSL, is Mountainkeeper’s Senior Research Director working out of our Woodstock, NY office, where she focuses on issues related to the health impacts of fracking and fossil fuel infrastructure, and spearheads our work in the Catskills High Peaks region. She majored in philosophy and theology at Saint Louis University and graduated with honors, going on to pursue her Medical Degree, along with a Masters of Studies in Law, from Yale. Following a residency in pediatrics and fellowship training in clinical research design, she worked at the Hastings Center, writing and teaching on diverse topics in bioethics. She came to the Catskills in 1989 to pursue residential training at a Zen Buddhist monastery and in 2003 she became Executive Director of Tibet Aid in Woodstock. 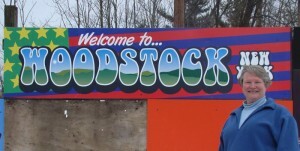 In 2009 she founded Catskills Live! Trails and Wilderness Association, and in 2011 cofounded Concerned Health Professionals of New York. Kathy serves on the Ulster County Tourism Advisory Board, the Ulster County Trails Advisory Committee, and as an officer for the Catskill Heritage Alliance and the Shandaken Community Gardens. Katherine recently became Mountainkeeper's first-ever Deputy Director, ​providing leadership in developing strategic direction for the organization and its programs, guiding messaging and external communications, serving as lead internal project manager, and ​spearheading our advocacy efforts in Albany in partnership with program staff, while continuing to manage our RenewableNY program and Solar Outreach Initiative​. Before joining our team in 2015, she served as Policy Director and Water and Natural Resources Director for Environmental Advocates of New York, where she managed the organization's work in the state capitol to protect and preserve New York's environment, and led its efforts to protect New York state from fracking, among other successful legislative initiatives​. In recognition of her advocacy efforts in Albany, Katherine was named one of City and State's “40 under 40” in 2012. Throughout her advocacy career, she has also worked with the Onondaga Nation seeking environmental and social justice, and with the New York Public Interest Research Group (NYPIRG). As Mountainkeeper’s Office Manager, Beth is responsible for taking care of the organization’s administrative and operational needs. Her responsibilities include managing all aspects of our finances from bookkeeping to paying bills, maintaining our donor databases, handling correspondence and mailings, managing Ramsay’s calendar, ensuring compliance for our many pass-through grants, and coordinating office supplies and upkeep. A life-long resident of the Catskills, Beth attended both Sullivan County Community College and SUNY New Paltz, majoring in early education with a concentration in history. She joined Mountainkeeper in 2007 after working for several years in the commercial insurance industry and running a successful restaurant and pub. Sam serves as Mountainkeeper's Program Associate, leading our HeatSmart campaign to transform New York's energy landscape and assisting home and business owners make energy efficiency improvements and transition to clean heating and cooling technologies. He also lends his legal and programmatic expertise to Mountainkeeper's campaign to oppose fossil fuel projects like pipelines and bomb trains. Prior to joining Mountainkeeper's staff in 2018, Sam served as Program Director for Water Defense, and as a pro bono attorney for Earthjustice. Sam received his BA in International Relations from Boston University, and holds a JD in Environmental Law from Brooklyn Law School. Sam and his family live and work in the Catskills in Sullivan County. In his free time Sam enjoys fly-fishing, hiking, and exploring the Catskills region.